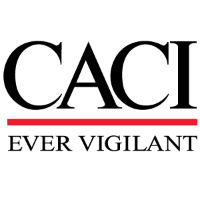 As a CACI-WGI (The Wexford Group International) Intelligence Analyst, you will provide embedded and reach back support to Improvised Threat and C-IED efforts and operations executed by committed war fighting units and partners. You will provide multi-intelligence analysis and fusion that integrates existing national-level products and databases to define patterns of threat and IED network activity and narrow the search space to conduct counter-threat and C-IED operations. As required, you will interact directly with the deployed intelligence consumer during the development of intelligence products to meet unit and subordinate element intelligence requests for information. As required, you will assist in the planning, development, and delivery of tailored intelligence capabilities and tools training to supported intelligence consumers and partners. While deployed, you will embed with warfighters to assist operational and tactical commanders, their staffs and subordinate units with fusing operations and intelligence information to enhance their effectiveness against threat networks. You will identify and analyze problems, and assist with the generation of recommended solutions based upon experience working with elements of the DOD, interagency and international partners. Most deployments are 120-180 days in length. While providing reach back support, you will directly support embedded teammates; answer requests for support from other tactical units; and work closely with a wide variety of units, institutions, and partners. You will assist with pre-deployment training/preparation and conduct professional development within the CACI-WGI Joint Analytical Support Team to develop new capabilities and expertise. At least one tour of deployed Intelligence analysis experience. The ability to effectively communicate both orally and in writing. Four years of directly relevant experience. At least one year of experience conducting network analysis in support of attack the network or CT operations - including counter-facilitation. At least one year of experience providing C-IED intelligence support and/or asymmetric threat analysis. More than five years of military experience, and/or a combination of military and IC Agency experience, including recent combat deployments. Practical understanding of Intel-related databases such as M3, TAC, NCTC Online, TIDE, ICReach SIGINT database, Cultweave SIGINT database, PROTON SIGINT Database. Basic understanding of geospatial Intel tools such as ArcGIS and Google Earth.